Objective: The objective of this study is to evaluate the feasibility and safety of high-intensity focused ultrasound (HIFU) for ablation of swine pancreas and to detect the pathological variations in pancreas damage. Materials and Methods: (a) Eight swine were involved and randomly divided into two groups (Group A and B). HIFU was applied on swine in both groups for in vivo ablation of pancreas. The animals were anesthetized, and the artificial acoustic window was built. Then, the irradiation of FEP-BY02 type HIFU on pancreas was applied. (b) Swine in Group A were euthanized immediately after treating with HIFU to examine variations in pancreas. The biochemical evidence of pancreatitis was evaluated by blood samples collected from swine in Group B before and after HIFU. Then, the pancreas of swine in Group B was euthanized on day 5 after treatment to examine the pancreas. All specimens were visually inspected for both ultrasonic focal damage region (UFDR) and pathological routine by a skilled pathologist. Results: (a) The vital signs of all animals were stable during HIFU treatment and recovered well after treatment. (b) UFDR were observed in all HIFU irradiation region of the specimens, without significant size difference between the two groups. The coagulation nucleus pyknosis, cytochylema vacuolation, and nucleus membrane disruption were observed after HIFU in both groups. Membranous structure dissolution and inflammatory cell infiltration were also found after HIFU in swine of Group B. (c) There was no significant difference in the levels of blood amylase in swine of Group B before and after HIFU treatment. Conclusions: It was feasible and safe to use HIFU for ablation of the pancreas in swine. Pancreatic cancer has become one of the most common malignant tumors of digestive tract. At present, it has been the fourth leading cause of adult cancer deaths and the mean survival time was 4–6-month with a 5-year survival rate <1%. At the time of diagnosis, a potential curative treatment would not available to 80% of the patients with pancreatic cancer because of local progression and metastasis. Only 10%–15% of the patients would receive complete tumor resection, even so with a disappointing 5-year survival rate of 10%. In China, both morbidity and mortality for patients with pancreatic cancer differed with those of in several Western countries. Pancreatic cancer has been the sixth leading cause of death from malignant diseases in China, with an overall cumulative 5-year survival rate of 1%–3%. In addition, 60%–90% of patients would experience cancer-associated pain. Therefore, palliation of pain has been critical in the management of these patients. The application of high-intensity focused ultrasound (HIFU) in palliating patients who underwent pancreatic cancer-related pain has been reported by several studies.,, These studies suggested that the size of pancreatic tumors could be reduced by HIFU treatment without leading to pancreatitis. The pain could be alleviated, prolonging the survival. HIFU is a noninvasive and nonsurgical treatment that has potential to eliminate or significantly alleviate pancreatic cancer-associated pain. However, no prospective randomized controlled clinical trials have yet been conducted to determine whether the treatment of pancreatic tumors with HIFU will result in palliation of pain. This study was performed to evaluate the feasibility and safety of HIFU for ablation of swine pancreas. The pathological changes in pancreas damage were also detected to provide experimental provinces for its clinical application. A total of 8 domestic swine (6 males, 2 females, with the body weight of 35–40 kg and age of 5–8 months) were applied in this study. Animals were randomly divided into two groups (Group A and B, 4 in each group) and fasted for 48 h before the procedure (except for water). On the day of the procedure, animals were sedated with an intramuscular injection of ketamine (22 mg/kg) and intubated. Animals were placed on the HIFU treatment bed in the supine position. General anesthesia was induced by intravenous (i.v.) injection (earlobe vein) of 3% sodium pentobarbital (2 mL/kg). After anesthesia, the swine abdominal surface was cleaned and depilated, then washed with degassed distilled water and wiped down with 70% isopropanol. A gastric tube with a water sac was placed into the stomach through laryngoscope. Then, 1000–1200 mL degassed water was injected into the sac to create “artificial acoustic windows [Figure 1].” It aimed to confirm the presence of an adequate acoustic passage for HIFU treatment, as well as a good vision on B-US imaging of the pancreas. The FEP-BY02 HIFU system (Yuande Bio-Medical Engineering Co., Ltd., Beijing, China, CMDC No.C1420016, Equipment No. 0406) composed of two HIFU transducers: a lower transducer and an upper transducer. Only the upper HIFU transducer was applied in this study. The HIFU transducer was consisted of 251 individual lead zirconate titanate crystal elements, with an aperture of 37 cm and a focal distance of 25.5 cm. The focus has a −6 dB beam width of 1.6 mm and axial length of 10 mm. In this HIFU system, the ultrasonic frequency, input electric power, focal sound intensity, and effective therapeutic depth were 1 MHz ±10%, 0.5–2 kW, 40–4000 W/cm2 (tested by Institute of Acoustics, Chinese Academy of Sciences) and 1–15 cm, respectively. HIFU system has an integrated B-mode ultrasound imaging probe (Logiq 5, General Electric Healthcare, Seongnam, Korea). Treatment was performed and delivered with a computer program that allowed the operator to identify the target region, as well as specifying the electrical power delivered to the HIFU transducer and the treatment parameters (pulse length, duty factor ratio, interval spacing between treatment sites and number of pulses per treatment site). In addition, there was an electrical power system to drive the HIFU transducer and a water treatment system to degas the filtered water with vacuum. Animals were placed on the HIFU treatment bed in the supine position. After anesthesia, B-US should be performed through artificial acoustic window, for determining the position, size, and morphological aspects of the pancreas, as well as revealing its relation to blood vessels and organs abutting the pancreas. The abdomen was coupled to the treatment transducer through a water-filled sac. The water used for coupling was degassed with vacuum before treatment. Ultrasound coupling gel was applied to couple the water-filled sac and the abdominal surface. The imaging transducer coaxial to the treatment transducer was then applied to identify the target tissue in treatment planning. The planning was consisted of therapy range, therapeutic layers, acreage of every layer, and treatment parameters. In this study, a circular plane with the diameter of 3 cm in the neck/body region of the pancreas was targeted. The porcine pancreas was only 0.7–1.5 cm in thickness,, therefore, only one plane of tissue could be treated in a given swine. The treatment parameters were the distance between treatment sites: 4 mm, distance between rows: 4 mm, pulse length (t1): 150–200 ms, duty factor (t2) ratio: T2:T1≈ 1:1, the number of pulses: 80 per treatment spot, and acoustic intensity of focal point: 800 W/cm2. Treatment was then administered in an automated fashion based on the programmed treatment. The treatment focus was moved following the X, Y, and Z axis, adopting a “nibbling operation” mode (from spot to line and from line to area) to cover the target regions. After treating with HIFU, animals were euthanized with sodium pentobarbital (i.v. 90 mg/kg). The pancreas was removed immediately at the time of laparotomy and visually inspected for local color change suggestive of ultrasonic focal damage region (UFDR) (pale-appearing parenchyma). UFDR was measured with sliding caliper and estimated by calculating the area with the formula (area = 1/2 diameter A × 1/2 diameter B × π. The 2 diameters, A and B, were the 2 largest diameters of the UFDR in a perpendicular direction, as measured by sliding caliper). Tissue specimens from the UFDR were then harvested for histologic evaluation. In addition, normal untreated pancreatic tissue was obtained as control samples for histology. Treated and control samples were immediately fixed with 95% EtOH to preserve tissue structure. The alcohol-fixed sections were then stained with hematoxylin and eosin per standard procedures. After treated with HIFU, animals were fasted for 24 h (except of water). Blood was drawn from the animal before HIFU treatment, 12 h post-HIFU treatment, on days 2, 3, 4, and 5 after HIFU treatment. The blood samples were applied for the analysis of serum amylase, blood glucose, white blood cell (WBC), aspartate transaminase (AST) (glutamic oxalacetic transaminase) and C-reaction protein (CRP). On days 5 following HIFU treatment, animals were euthanized with sodium pentobarbital (i.v., 90 mg/kg). All samples of pancreas were processed that procedures were the same as the animals of Group A.
SPSS 17.0 software package (IBM, Chicago, IL, USA)was adopted for processing the data. Differences between medians were compared with the Wilcoxon rank-sum test for paired data. Differences were considered statistically significant when P < 0.05. The vital signs of all 8 swine were stable during HIFU treatment. All animals tolerated the HIFU treatment without significant clinical sequelae. For the swine in Group B, the activity of animals was normal without any evidence of distress, discomfort, or abnormal oral intake over the 5-day observation period following HIFU treatment. For all 8 animals, there was an obvious UFDR [Figure 2]a and [Figure 2]b in the targeted tissue with a pale region appearing parenchyma. The shape of pale region was similar circular and there was a clear delimitation between the UFDR and the normal adjacent tissues. The maximum, minimum, and average diameters of the UFDR were 3.2 cm, 2.4 cm, and 2.9 ± 0.7 cm, respectively. The maximum, minimum, and average areas of the UFDR were 9.07, 6.59, and 8.01 ± 1.7 cm2, respectively. There was no significant difference in the size of UFDR between the Group A and B (P > 0.05) [Table 1]. The structure was typical of normal pancreatic tissue with pancreatic acini displaying bizonal staining, pancreatic islet cells, and stromal cells with small thin nuclei [Figure 3]. After HIFU in two groups, there were coagulation nucleus pyknosis, cytochylema vacuolation, and nucleus membrane disruption [Figure 4] in the UFDR. In comparison with Group A, the pancreatic structure was completely disrupted and hardly recognizable except for the suggestive of pancreatic ducts and a faint outline of the lobules in the UFDR. Membranous structure dissolution and inflammatory cell infiltration surrounding the damaged area were also observed in Group B [Figure 5]a and [Figure 5]b. The serum amylase, blood glucose, WBC, AST, and CRP were not significantly changed from baseline. The animals did not exhibit any abnormal behaviors during the 5-day observation period in the Group B [Table 2]. HIFU therapy has been a novel, emerging, and therapeutic modality that used ultrasound waves. The principle of HIFU was mainly to make use of the physical features of ultrasonic wave that could permeate soft tissues and focus. Ultrasound beams from an extracorporeal source can be focused into tumor lesions of organisms. The instant hyperthermia effect (0.5–5 s, 60°C–100°C), cavitation effect, mechanical effect, and other effects brought by acoustic transducer can lead to the death of cells (irreversible coagulative necrosis) or structural and functional changes of target tissues.,,,,,,,,,, Although the mechanism of HIFU was relatively complex, the main mechanism on the UFDR formation was the high-temperature effect and cavitation effect. The porcine pancreas was located deep inside the abdominal cavity which lied across and behind the stomach. Small and large intestine limited ultrasound propagation and visualization of pancreas due to the presence of gastrointestinal tract gas. In addition, if you do not have a good passage of HIFU, the efficacy would also be significantly affected. In this study, a gastric tube with a water sac was placed into the pig stomach through laryngoscope, 1000–1200 mL degassed water was filled into the water sac for building “artificial acoustic window.” The purpose of “artificial acoustic window” was to confirm the presence of an adequate passage for HIFU therapy and a good visualization for B-US imaging of the pancreas. The establishment of “artificial acoustic window,” the location of target tissue with B-US imaging, and the effective HIFU treatment of pancreas, provided the necessary experimental conditions. After HIFU treatment in this study, UFDR of pancreas were emerged in animals of both Group A and B (a pale region-appearing pancreatic parenchyma). There was no significant difference in the size of UFDR between the Group A and B [P > 0.05, [Table 1]. The theoretical calculation of damage region and the actual UFDR of treatment were basically the same in both groups. It indicated that pancreatic tissue could be accurately located and damaged with HIFU under the guidance of B-US. 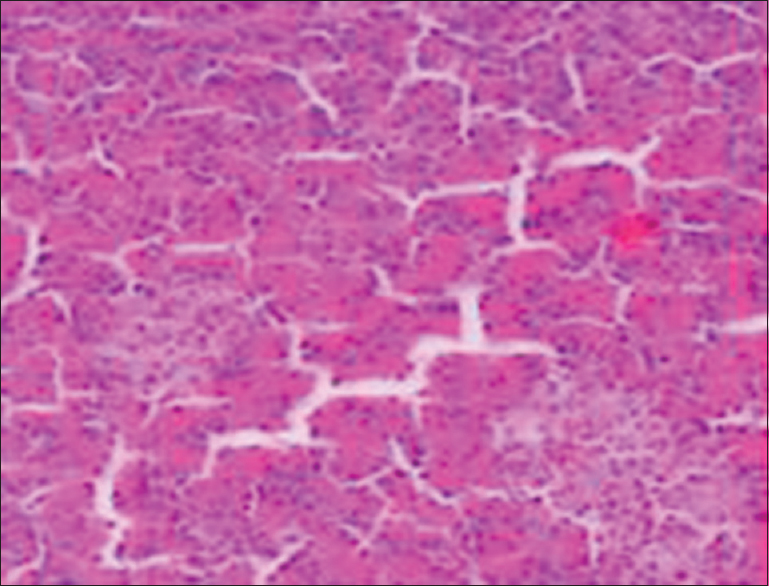 Animals of Group A have undergone the immediate pathological observation: the pancreatic tissue cells were coagulation necrosis, nuclear pyknosis, cytoplasm cloudy swelling, normal tissue boundaries marked in the UFDR. In addition, there were vacuoles with different size and shape in the UFDR (vacuoles surrounded by a small amount of cell debris). The mechanism of the pathological variation was mainly resulted from the instant hyperthermia effect and cavitation effect of HIFU. For the animals of Group B, there were pathological changes and features of pancreatic tissue, the coagulation necrosis was more thorough, while the UFDU and normal tissue can be seen at the junction of inflammatory cell infiltration (in lymphocytes, monocyte-like cell based). It indicated that a variety of inflammatory cells may be involved in HIFU radiation, leading to tissue injury, or repair process. Besides, it suggested that antitumor immune function of the body may be induced by HIFU treatment. The vital signs of all 8 animals were stable during treating with HIFU. All animals tolerated the HIFU treatment without significant clinical sequelae. From the results of animals in Group B, the dynamics of serum amylase, blood glucose, WBC, AST, and CRP were not significantly changed from baseline. There was also no evidence of distress, discomfort, or abnormal oral intake during the 5-day observation period, as well as clinical or biochemical evidence of pancreatitis. This showed that HIFU treatment once was safe and feasible in a small and locally range of pancreatic tissue. Of course, pancreatitis may be induced by a larger range and multiposition HIFU treatment once in pancreatic tissue, but this should be further studies. 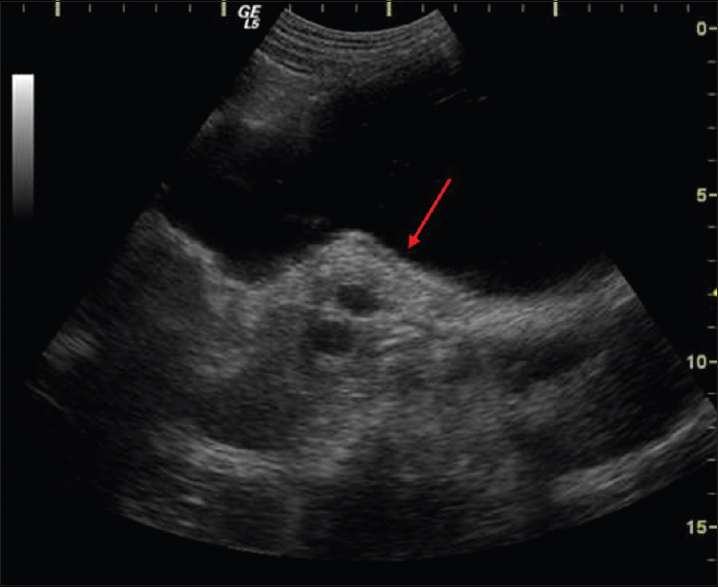 In short, this study showed that HIFU, if certain treatment conditions were maintained (such as, good ultrasound imaging of the target during treatment planning, good passage of HIFU), pancreatic tissue could be accurately located and damaged to form irreversible coagulation necrosis. No severe complication was observed in this study. Most importantly, there was no evidence of pancreatitis from HIFU treatment directed at normal pancreatic tissue. The results provided an experimental reference for HIFU clinical applications. Wolfgang CL, Herman JM, Laheru DA, Klein AP, Erdek MA, Fishman EK, et al. Recent progress in pancreatic cancer. CA Cancer J Clin 2013;63:318-48. Rossi ML, Rehman AA, Gondi CS. Therapeutic options for the management of pancreatic cancer. World J Gastroenterol 2014;20:11142-59. Tsai S, Erickson BA, Dua K, Ritch PS, Tolat P, Evans DB, et al. Evolution of the management of resectable pancreatic cancer. J Oncol Pract 2016;12:772-8. Guo X, Cui Z. Current diagnosis and treatment of pancreatic cancer in China. Pancreas 2005;31:13-22. Koulouris AI, Banim P, Hart AR. Pain in patients with pancreatic cancer: Prevalence, mechanisms, management and future developments. Dig Dis Sci 2017;62:861-70. Strunk HM, Henseler J, Rauch M, Mücke M, Kukuk G, Cuhls H, et al. Clinical use of high-intensity focused ultrasound (HIFU) for tumor and pain reduction in advanced pancreatic cancer. Rofo 2016;188:662-70. Marinova M, Rauch M, Mücke M, Rolke R, Gonzalez-Carmona MA, Henseler J, et al. High-intensity focused ultrasound (HIFU) for pancreatic carcinoma: Evaluation of feasibility, reduction of tumour volume and pain intensity. Eur Radiol 2016;26:4047-56. Dababou S, Marrocchio C, Rosenberg J, Bitton R, Pauly KB, Napoli A, et al. A meta-analysis of palliative treatment of pancreatic cancer with high intensity focused ultrasound. J Ther Ultrasound 2017;5:9. Soper NJ, Brunt LM, Dunnegan DL, Meininger TA. Laparoscopic distal pancreatectomy in the porcine model. Surg Endosc 1994;8:57-60. Ferrer J, Scott WE 3rd, Weegman BP, Suszynski TM, Sutherland DE, Hering BJ, et al. Pig pancreas anatomy: Implications for pancreas procurement, preservation, and islet isolation. Transplantation 2008;86:1503-10. Wu F. High intensity focused ultrasound: A noninvasive therapy for locally advanced pancreatic cancer. World J Gastroenterol 2014;20:16480-8. Malietzis G, Monzon L, Hand J, Wasan H, Leen E, Abel M, et al. High-intensity focused ultrasound: Advances in technology and experimental trials support enhanced utility of focused ultrasound surgery in oncology. Br J Radiol 2013;86:20130044. Al-Bataineh O, Jenne J, Huber P. Clinical and future applications of high intensity focused ultrasound in cancer. Cancer Treat Rev 2012;38:346-53. Dubinsky TJ, Cuevas C, Dighe MK, Kolokythas O, Hwang JH. High-intensity focused ultrasound: Current potential and oncologic applications. AJR Am J Roentgenol 2008;190:191-9. Haar GT, Coussios C. High intensity focused ultrasound: Physical principles and devices. Int J Hyperthermia 2007;23:89-104. Jang HJ, Lee JY, Lee DH, Kim WH, Hwang JH. Current and future clinical applications of high-intensity focused ultrasound (HIFU) for pancreatic cancer. Gut Liver 2010;4 Suppl 1:S57-61. Calvo-Ortega JF, Delgado D, Moragues S, Pozo M, Casals J. Dosimetric comparison of intensity modulated radiosurgery with dynamic conformal arc radiosurgery for small cranial lesions. J Cancer Res Ther 2016;12:852-7. Yoo J, Yan LH, Siddiqui AA. Can contrast harmonic endoscopic ultrasonography replace endoscopic ultrasonography-guided fine-needle aspiration in patients with solid pancreatic lesions? An American perspective. Endosc Ultrasound 2017;6:1-3. Yang S, Liu J, Jin H, He X, Nie P, Wang C. Value of magnetic resonance images in preoperative staging and resectability assessment of pancreatic cancer. J Cancer Res Ther 2018;14:155-8. 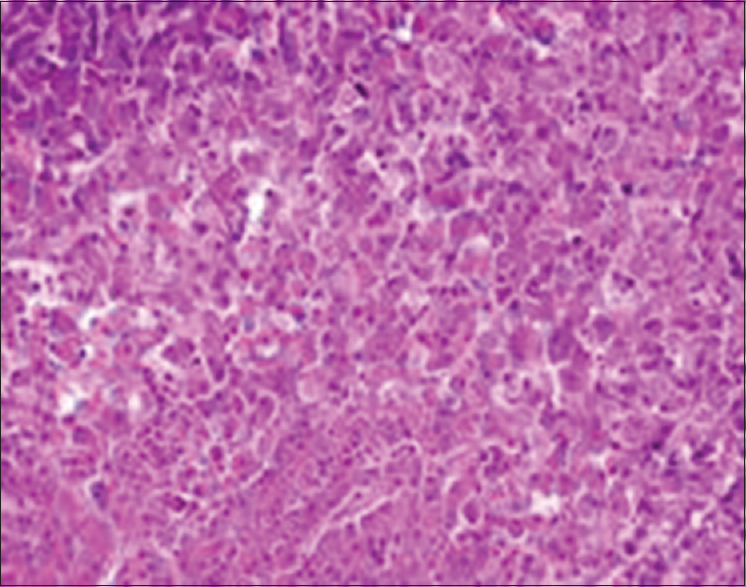 Sohn M, Fuchs M, Rohrbach H, Iesalnieks I, Agha A, Liesche F. Intrapancreatic mass: A rare cause. J Cancer Res Ther 2017;13:378-80. Guo Y, Liu W, Wu J. Helicobacter pylori infection and pancreatic cancer risk: A meta-analysis. J Cancer Res Ther 2016;12 (Supple):C229-C232.